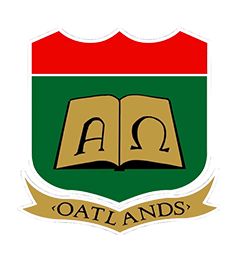 Oatlands College wishes to congratulate the eighty past pupils who commenced an undergraduate degree in 2018. These young men are a credit to both their parents who supported their education journey through, primary, second level in Oatlands College, and Further Education in some cases, prior to achieving their goal of securing their desired 1st year undergraduate places in September 2018. Looked at from the perspective of those 84 students who sat the Leaving Cert in Oatlands this year, the fact that our progression number in 2018 is 80 means that in terms of how these statistics are reported by the National media, the college achieved a progression rate of 95% in the current year. This year also saw one of our students achieve the highest result nationally of eight H1’s a feat achieved by six other students nationally. This feat is a repeat on 2017 when again one of our Leaving Cert class achieved the eight H1 score, making them one of thirteen in 2017. No other school in Ireland achieved this result over the past two years which indicates the scale of the achievement our students are now reaching. We wish to acknowledge the work of our teaching staff in supporting our students in reaching their potential whether in progressing to third level in Ireland as recorded in these recently published statistics, or abroad in some cases. Not every student is suited to the learning environment of third level colleges and we also wish to acknowledge students who have progressed their careers through high quality apprenticeship programmes, in traditional and increasingly non-traditional sectors. We are immensely proud that whatever a student’s aptitudes, interests or ability level, Oatlands College, through its teachers, parents and students does and will continue to support them in reaching their full potential, while nurturing their spiritual, emotional, and physical development in accordance with the values of Edmund Rice which imbues every aspect of the colleges life.